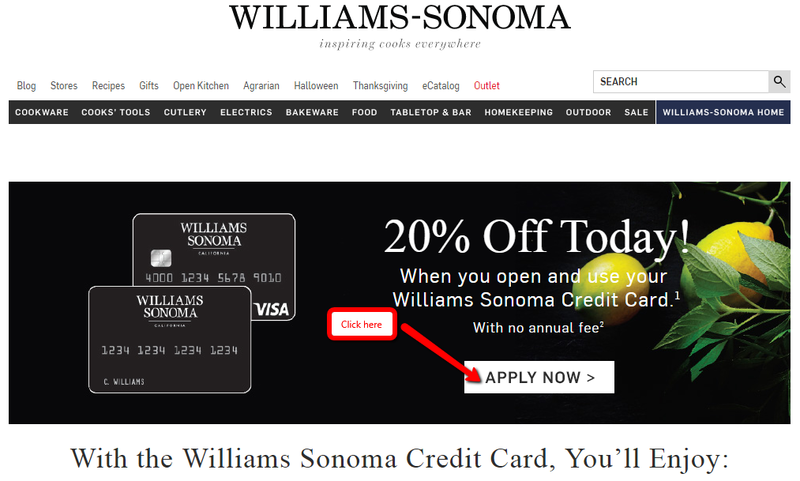 It is very easy and fast to apply for a Williams-Sonoma Credit Card. Just follow the steps below and use the screenshots as guidelines. Make sure to check that you pass all the requirements to set up and account and always read through the Terms and Conditions before signing up for anything. 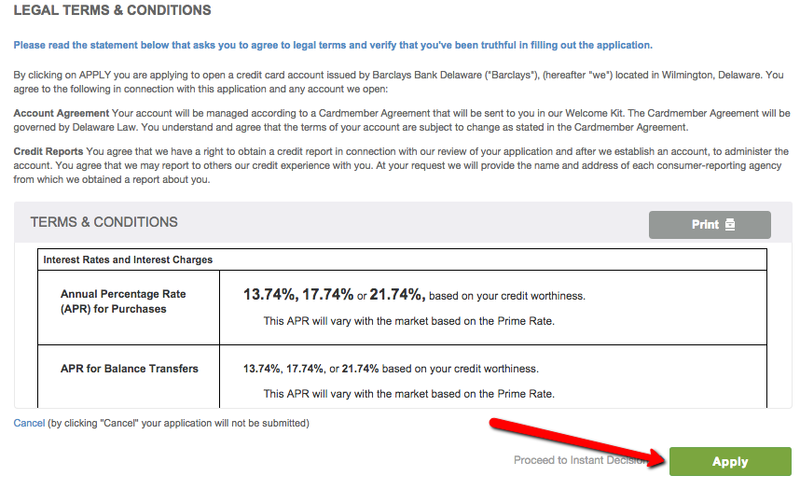 Do you pass the following requirements to apply for a Williams-Sonoma Credit Card? A US citizen with a valid email, mailing address and cell phone number. Have a valid print identification, like a Driver’s Licence. Your current account must be in good standing and active within the 12 month period. You will arrive at the following page. Click on the button that reads ‘APPLY NOW’. You should be taken to a page where you need to fill in your information. Enter in all of your details, making sure to review them and reading through the Terms and Conditions. Once you are ready, click on the green button at the bottom of the page that reads ‘Apply’. 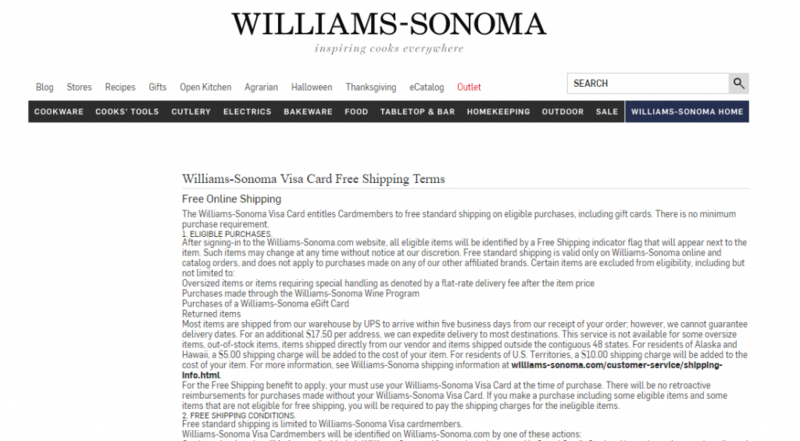 Q: How does the Williams Sonoma Chip Card function? The holders of Williams Sonoma Visa Chip Card have the possibility of experiencing the latest card technology. Even though it replaces your current Williams Sonoma Visa Credit Card, it does not affect your card number or benefits. The chip technology is introduced to offer a greater level of security against fraud and you should not worry about it when traveling abroad, since it is accepted across the Globe. Payment terminals will read your card’s chip, so you do not need to sign or input your PIN code anymore, which makes the payment easier and more convenient. Q: What kind of code is the Zip+4 and why do I need to enter it? The Zip+4 codes are introduced due to the greater mail reliability and more successful mail delivery. While everyone knows the existence of five digit ZIP code, the Zip+4 is not so frequently used. The Zip+4 Code represent the last 4 digits of a nine-digit ZIP Code, since the complete nine-digit ZIP Code consists of two parts. We all know the first five digits which represent the destination post office, the last 4 digits represent a specific delivery route or a smaller delivery zone in that region. You will need to introduce it when applying for the credit card in order that your address data is fully obtained by the credit card issuer.